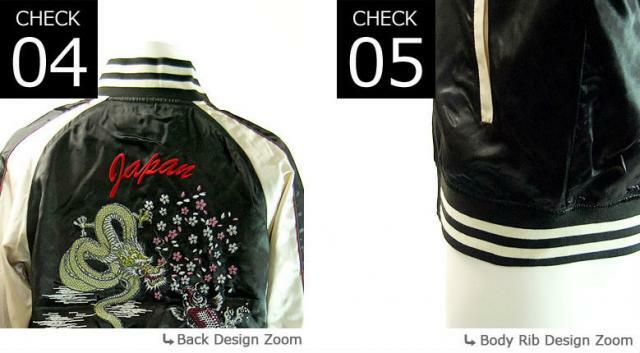 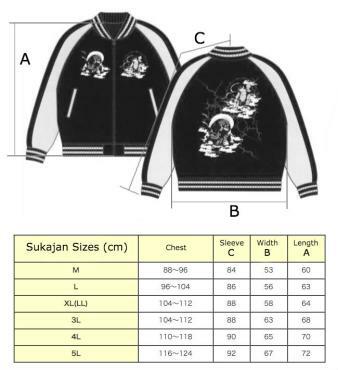 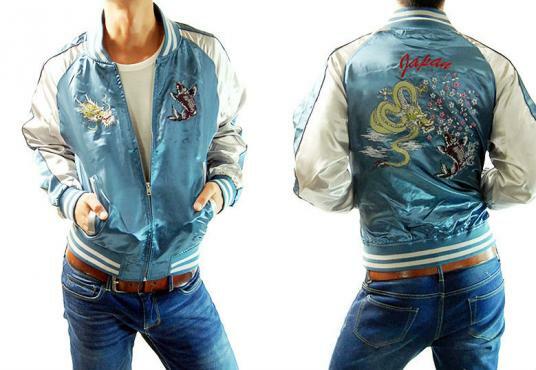 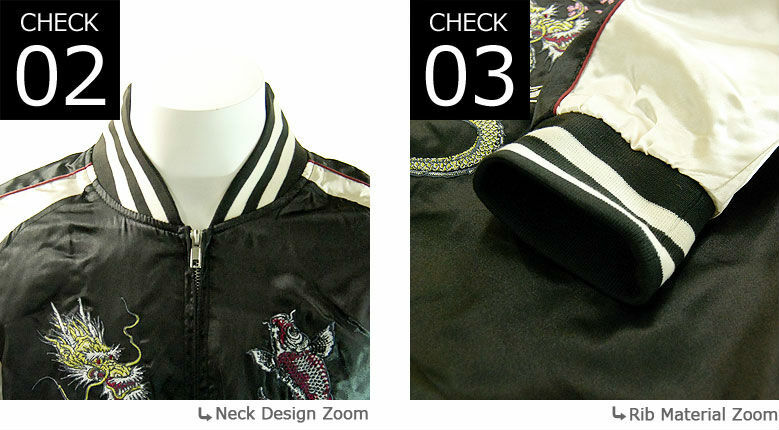 The back of this lightweight satin jacket features a striking design of a dragon and koi, or carp. 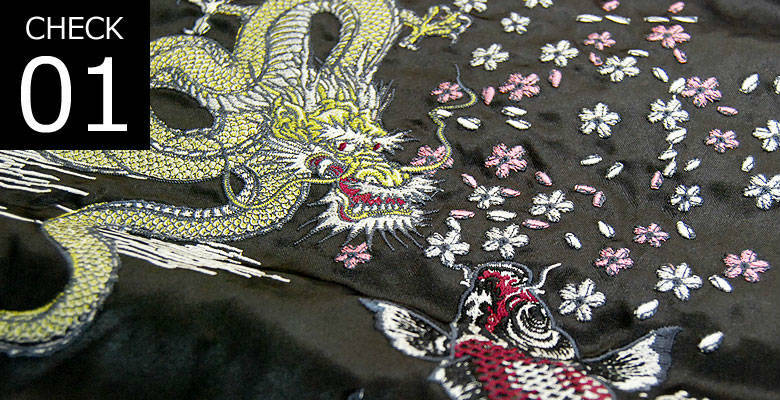 The dragon and koi images are reproduced on the front chest panels. 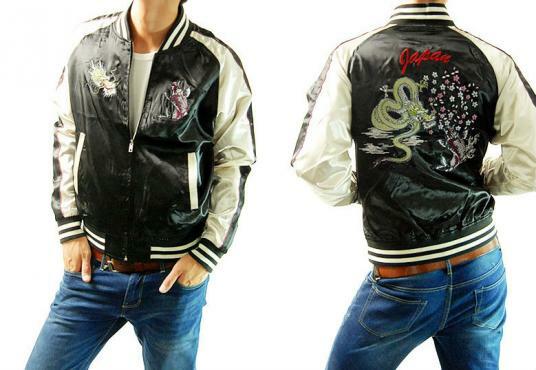 The back of this lightweight satin jacket features a striking design of a dragon and Mt. Fuji. 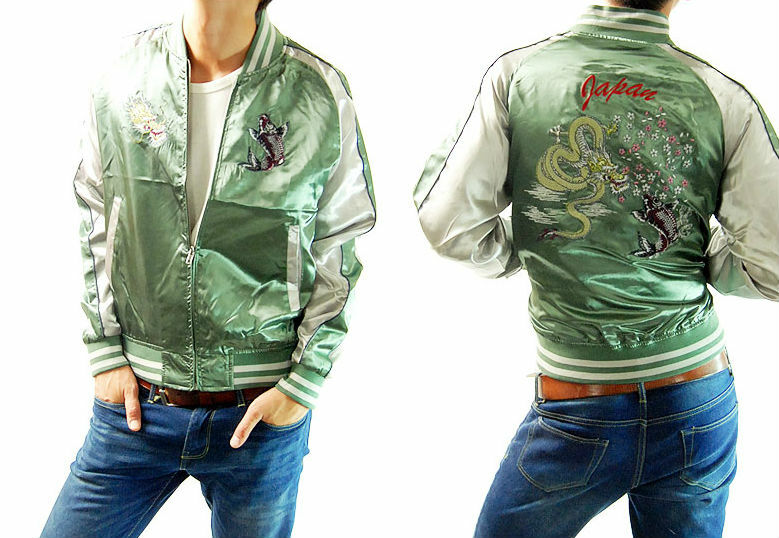 The dragon and Fuji images are reproduced on the front chest panels.